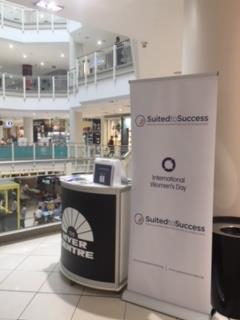 The Myer Centre, Brisbane has continued their support of Suited to Success by sponsoring a community stand to compliment the custom clothing collection point they have set up for city workers to donate their work and interview clothing. The Myer Centre, Brisbane also sponsored a pop-up shop for 4 months in mid 2017. This enabled us to raise much needed funds to support more clients through our programs. Thank you to the team at The Myer Centre, Brisbane who are always so willing to work with us and support our work with unemployed men and women. If you would like to sponsor a pop us store please contact us to find out how we can work together.